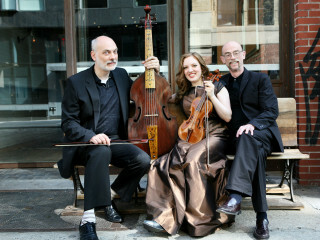 Trio Settecento returns to Houston with its accomplished Handelians: Rachel Barton Pine, violin, John Mark Rozendaal, Baroque cello, and David Schrader, harpsichord, in a program focusing on the sonatas of the Baroque era’s “Saxon” composer. Prepare to be enthralled by the great musical mind of Handel, from his earliest years in Rome to his last years in London. Be further enchanted by the sonatas of Italian violinist-composers Arcangelo Corelli and Francesco Veracini whose careers intersected significantly with that of Handel.